How will I transfer money to the casino to fund my account? How will I withdraw my winnings from the casino? When we speak about payment options we mean in both directions: from you to the casino and from the casino to you. The most well-known payment option is a credit card. Almost every one of the thousands of online casinos accepts Visa and MasterCard. Many also accept American Express. 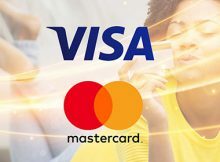 All other credit cards follow far behind the top three. To deposit with a credit card you register the card at the casino. This payment option works in exactly the same way you use your credit card to make any purchase online. Similar to credit cards but also significantly different are debit cards. Here you have to put money into the card and then transfer the money to your casino account. So, with a debit card, you actually perform two money transfers. It is a bit less convenient than the other payment options but many players like debit cards because it helps them manage their bankroll. You can also deposit through direct bank transfers. You can usually do this online. In effect, it’s like transferring money from your bank account to another account, in this case your account at the casino. In fact, after credit cards, the most popular payment option is through an e-wallet. The most famous e-wallet is PayPal. There are many others. At an e-wallet, you open an account. Then you can transfer as much as you like from your e-wallet account to your casino account. There are dozens more e-wallets available and accepted by most online casinos. Some of the most popular are: Neteller, Skrill, eco, and EasyEFT. You probably already know something about Bitcoin. It’s a totally invented currency that many people prefer over government currencies. No politics here! 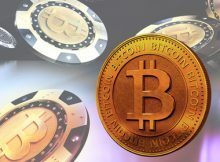 For our purposes, Bitcoin is growing in popularity at online casinos. Many players prefer the Bitcoin payment option above all others. There are far fewer casinos that accept Bitcoin over the other payment options but the number of casinos and players who like this option grows daily. One aspect of real money gaming online is that some players want as much anonymity as possible. If this is an issue for you, we suggest using an e-wallet as your preferred payment option. E-wallets provide an additional buffer between the casino and your bank details. Feeling insecure about transferring funds online? Don’t be. With so much of our commerce transacted online these days, this is just not a concern anymore. ALL the preferred payment options are extremely secure. You can feel totally comfortable using any of the methods the casinos suggest. One last thought. Some casinos allow deposits with given payment options but not withdrawals. This is an important part of your overall casino banking practices. So, we encourage all our readers to check both the deposit and the withdrawal rules at any casino you would like to play at. Make sure you’ll not only be able to deposit, but also withdraw your winnings with a method you’re comfortable with.